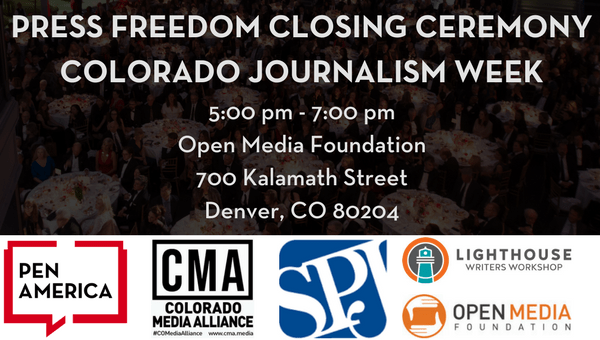 Come join PEN America in Denver for an evening of celebration as we uplift the journalism community and conclude our day of media and press freedom related panel discussions. 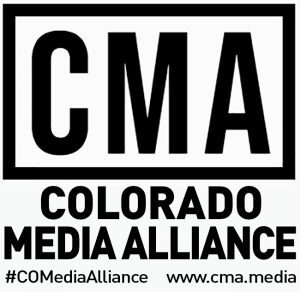 In collaboration with Open Media Foundation, Colorado Media Alliance, Lighthouse Writers Workshop, and the Society of Professional Journalists (Regional Chapter), we will be hosting a meet-and-greet with reporters and journalism. Lighthouse Writers Workshop will be providing poetry and literature readings. PEN America will be discussing the importance of the News Consumers Bill of Rights. There will also be demonstrations on using Open Media Foundation’s latest Government Transparency Tracker. The ‘Top of the Rockies’ winners will be introduced by the Regional Chapter of the Society of Professional Journalists. Assetou Xango is a poet and community activist. She has been performing poetry since 2009 and was featured on HBO’s Brave New Voices in 2010. She is now is a two-time TEDxMileHigh Speaker and published poet. Xango is currently the Poet Laureate of Aurora, Colorado (2017-2019) and was featured in Westword’s top 100 Creatives. Throughout all of her work Xango is dedicated to the visibility and rights of women and gender non-conforming people of color. This is a free event open to the public with RSVP. There will be food and beverages served. We hope you are able to come and join us for this informative and entertaining evening.